Long time World Series of Poker (WSOP) supporter, Mike Sexton, has hit out at the organization for its recent raft of changes. 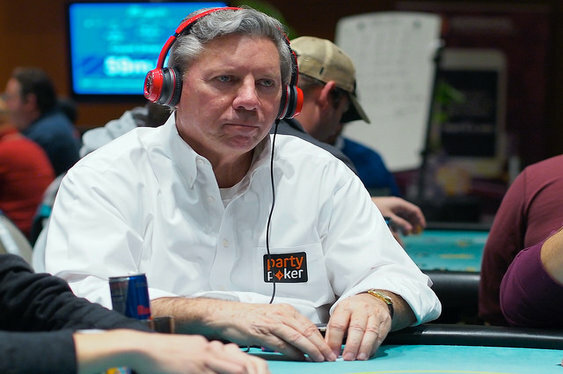 Writing on his official partypoker blog, Sexton's "My Concerns for the World Series of Poker" piece mainly focuses on the four month break players have to complete before playing for the Main Event's top prize. Asserting that the break doesn't benefit the players or capture the spirit of the tournament, Sexton goes on to suggest that a two day break would be better. As well as has dislike of the break, Sexton is also concerned with the creation of more bracelet events. Despite many players applauding the recent efforts by the WSOP to add more variety for players of all skill levels, Sexton believes this practice is watering down the value of winning a title. "I'm worried, as the number of events continually grows, the value of each bracelet will diminish. My suggestion to the WSOP decision makers is to keep tradition in mind and not let their attempts increase the bottom line destroy bracelet's value," wrote Sexton. After learning about post, the WSOP's Executive Director, Ty Stewart, decided to respond with his own take on the situation. Thanking Sexton for his input but disagreeing with him on a number of points, Stewart outlined that thanks to the advent of social media and live streaming, the best way to show the final table is to delay the action to allow ESPN to turn it into a TV spectacle. Additionally, Stewart believes the WSOP has worked hard to maintain the core principles of the WSOP as well as open it up to new audiences by offering buy-ins at various price points. However, the main issue Stewart stressed was that the company is not "Dr. Evil plotting to exploit a community." As the summer festival moves closer more criticisms are likely to be levelled at the WSOP as more people set their sights on Vegas. However, Stewart is prepared to listen to any and all critiques in a bid to create the best value spectacle possible.